Raise a glass to J.R.R. Tolkien on his twelfty-sixth birthday! Help celebrate and mark J.R.R. 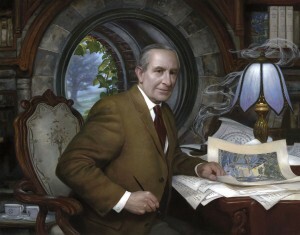 Tolkien’s twelfty-sixth (126th) birthday by joining fans all over the world in The Tolkien Society‘s annual Birthday Toast. Share your toast on Twitter or Facebook using the hashtag #TolkienBirthdayToast. However you celebrate, we hope you join TORn as we wholeheartedly wish a happy birthday to “The Professor,” who’s life’s work has come to mean so much to all of us. Happy birthday, J.R.R. Tolkien!